It never fails. No matter how diligently or how much I swatch for a new hat, the first time attempt is always too big. Even when I throw in the 10 - 20% amount of negative ease that I like in my hats, too big. 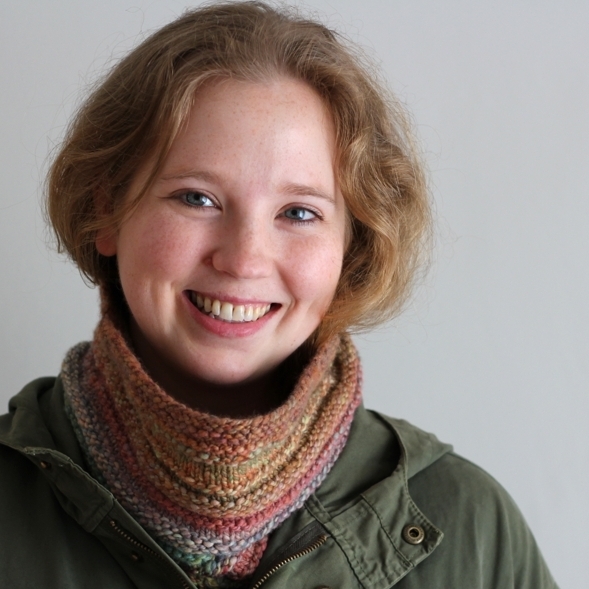 I added an extra repeat to the Regina Hat and knit an inch of ribbing before trying it on. 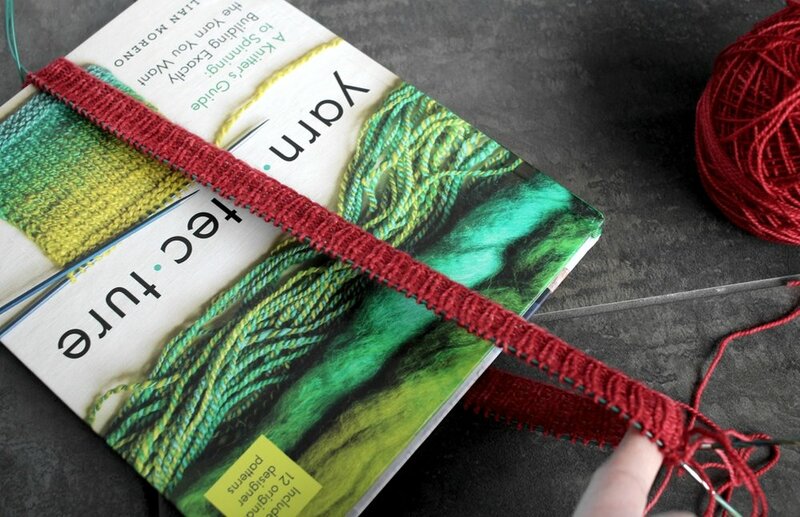 Here’s the ribbing with a copy of Yarnitecture for scale. Way too big. I put the hat out of sight until I felt like ripping out and starting all over again. That turned out to be a few days before I needed some simple knitting for a day trip. Casting on 100+ stitches at home sounded a lot better than frogging and casting on 100+ stitches on a bumpy road. So I grudgingly got to work. Here’s a tip that’s saved me a lot of frustration over the years. 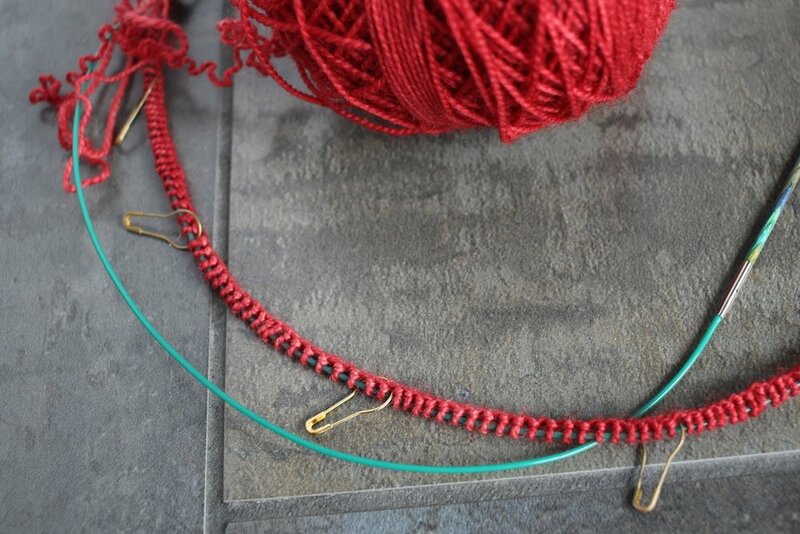 Whenever I have to cast on a large number of stitches, say more than 80, I use stitch markers. It’s easy to count to 20, place a marker, and start another group of 20 stitches, than count more than 100+ stitches at once. The number of stitches in a repeat is a nice place to drop a marker too. Those markers mean that interruptions aren’t as big a deal. Also, you don’t have to question if that was the 82nd stitch or the 83rd before giving up and starting from 0 just to be sure. This trick is just one of the reasons I have so many markers. I got a few rounds on the needles and packed it into my purse with the pattern and my usual notions. Travel knitting ready and waiting to go. Ended up with a nice chunk of time in the car and another inch of 1x1 rib. The hat actually seems to fit this time! Thankfully, the second time is usually the charm. I didn’t spend the entire time looking at my hands which is why I keep my travel knitting simple. 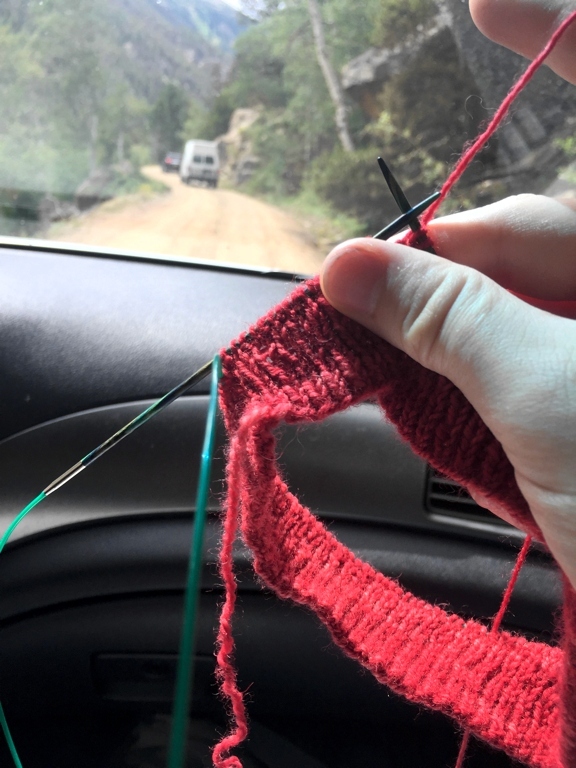 I want to enjoy the sights and the adventure, not be stuck looking at my knitting counting increases. 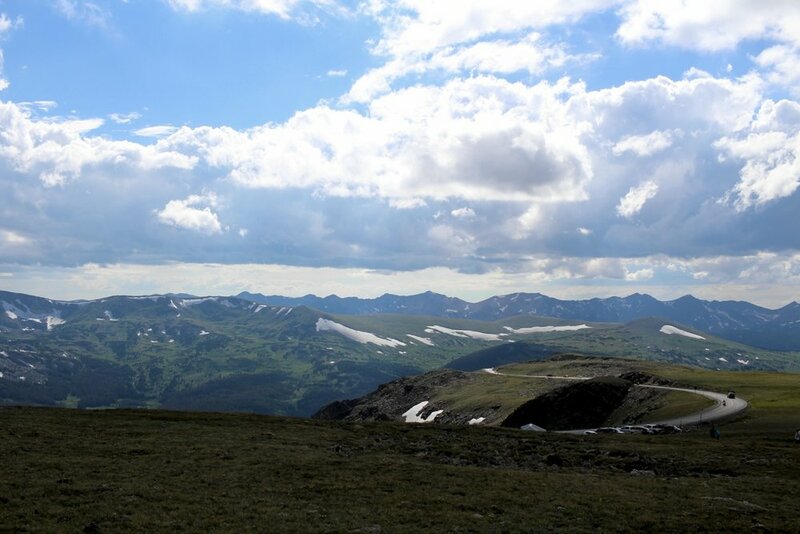 Ended up seeing a lot of beautiful landscapes, incredible views, and chubby marmots at Rocky Mountain National Park.